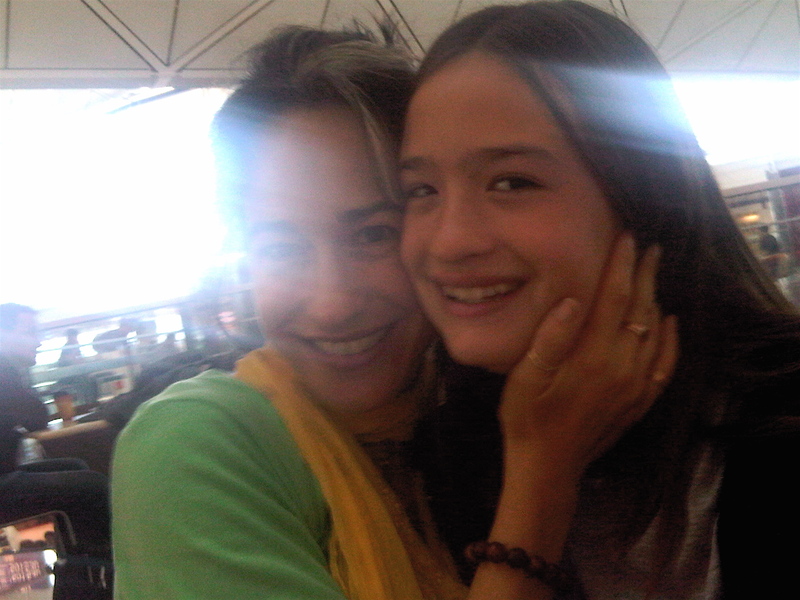 Just a quickie from the Hong Kong airport to say: She’s back! Safe and happy…. Thanks for the oodles of sweet notes asking about Lala and her trip. There were no tiger sightings (“whew!”) but lots of signs that the cats were lurking, such as nail scratchings on trees. Also, evidence of elephant herds, but again, no sighting. Lots of laughter and pranks and bedside chatter reported; long hikes, crafting – all the usual camp past times like anywhere. I’m posting this in a hurry before we board to Beijing where blogs are blocked. More on the Middle Kingdom on our return next week.